Samaria Regional Council head Yossi Dagan says differences between right-wing parties are small, egos cannot cause left-wing government. 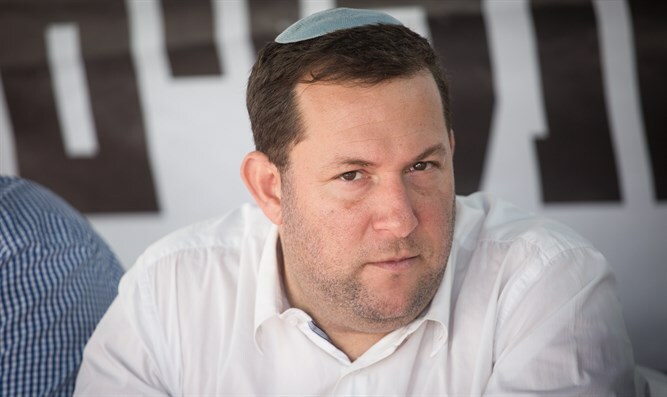 Samaria Regional Council head Yossi Dagan, who is involved in the contacts between Otzma Yehudit and the Jewish Home and National Union, said that the gaps between the sides are small and called on the factions to overcome their disputes to prevent the formation of a left-wing government in the upcoming elections. "This is the hour for unity," Dagan said. "It is inconceivable that [this will be prevented] due to considerations of ego. I am certain that my colleagues in all the right-wing parties will agree with me [that if they do not unite], in three months time we will find ourselves with a left-wing government agreeing to Oslo-2." "I call on the parties to unite, to reach understandings. The gaps are small, and they can be overcome," Dagan added. Dagan further stated that he believes that the Jewish Home and National Union might still fail to clear the electoral threshold despite agreeing to run together, but if they united with Otzma Yehudit they could win as many as wight Knesset seats, securing the formation of a right-wing government.